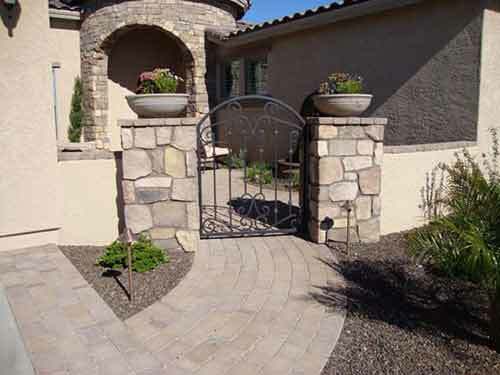 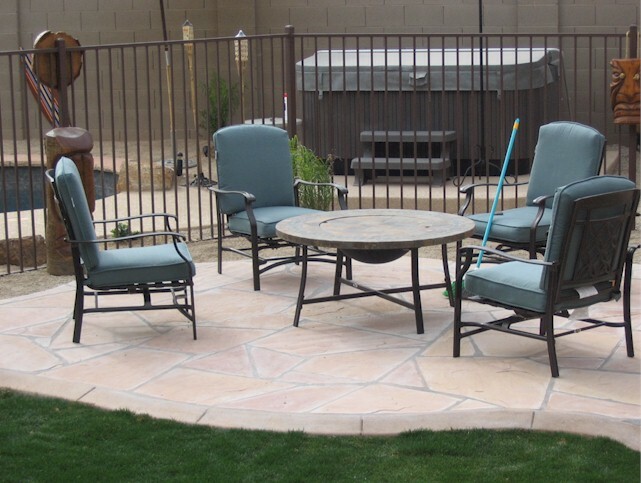 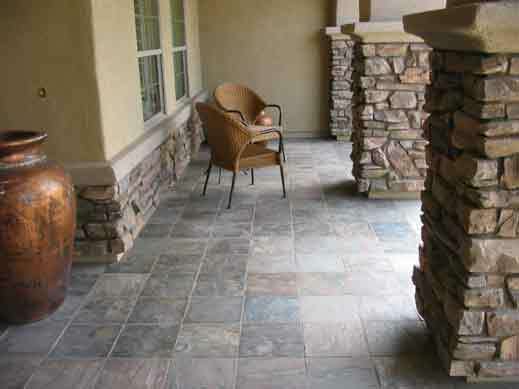 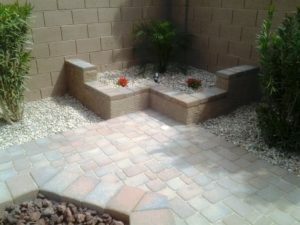 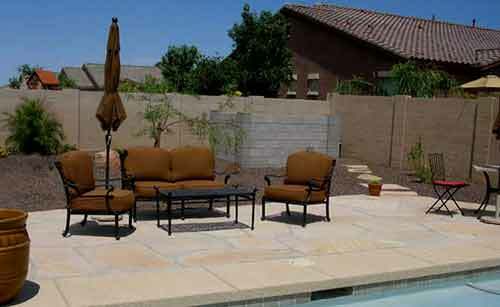 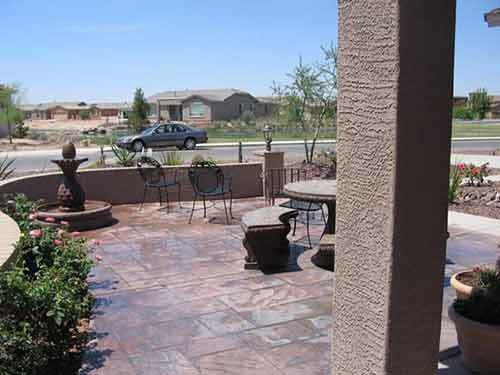 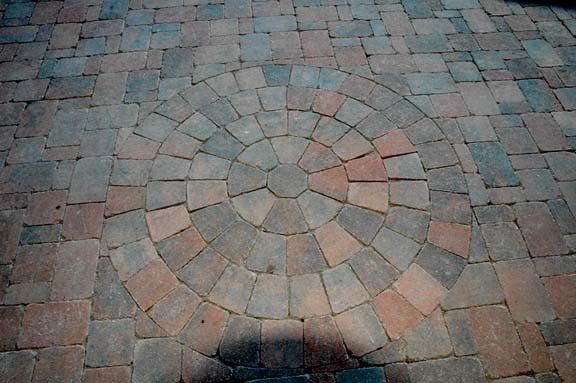 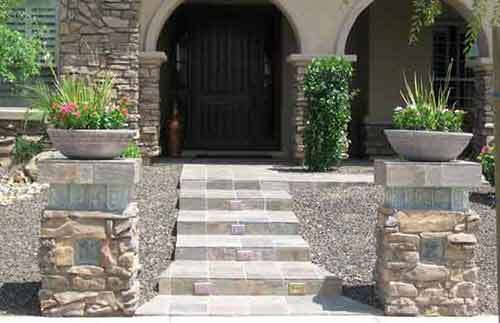 Below are some samples of concrete patios, stamped concrete, flagstone patios, acrylic overlay, pavers or paver patio, stained concrete patio, and block walls custom built and installed by Arizona Living Landscaping Arizona serving Phoenix, Queen Creek, San Tan Valley, Gilbert, Mesa, Chandler, & Anthem Merrill Ranch. 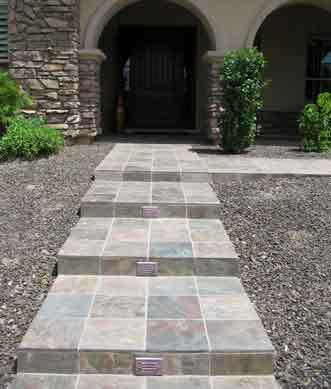 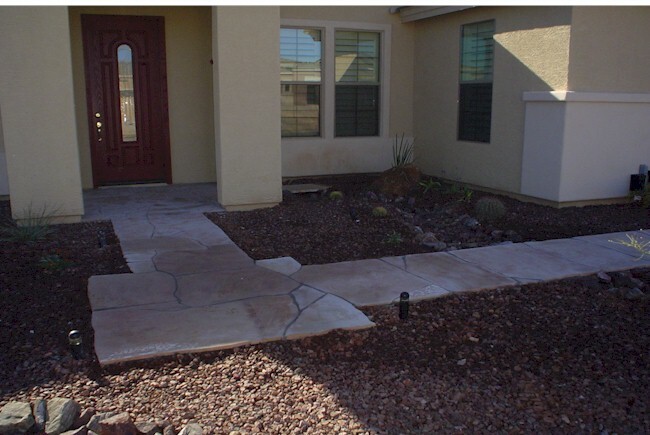 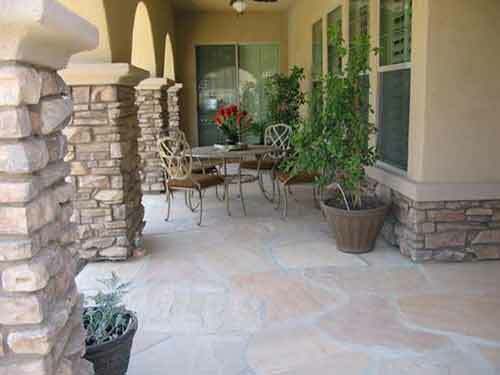 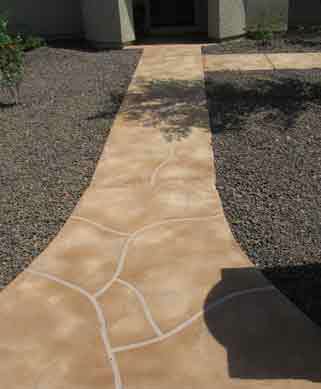 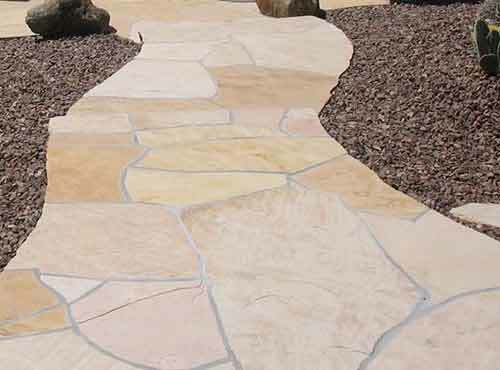 Real Flagstone Patio and Flagstone Sidewalk custom installation with Arizona Flagstone concreted in and grouted. 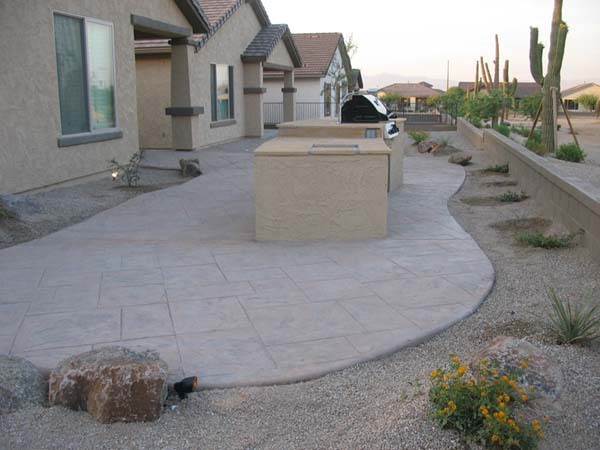 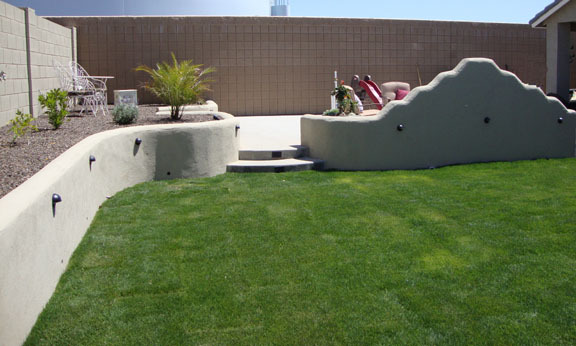 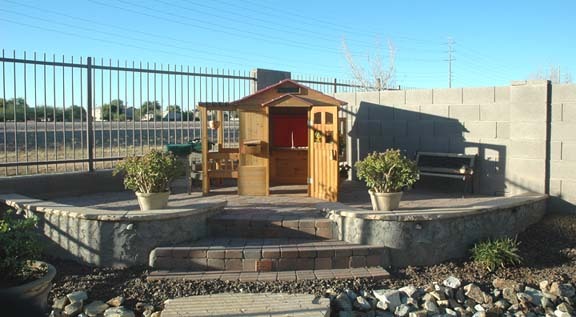 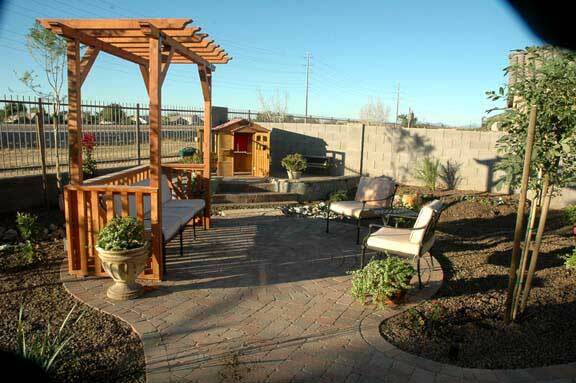 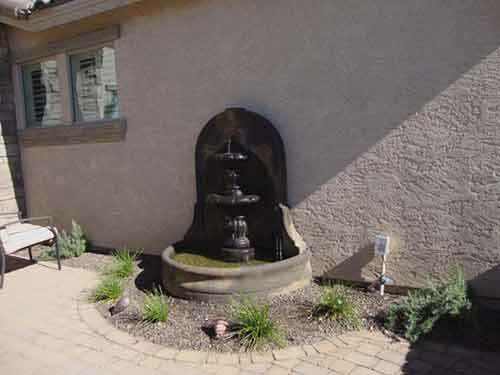 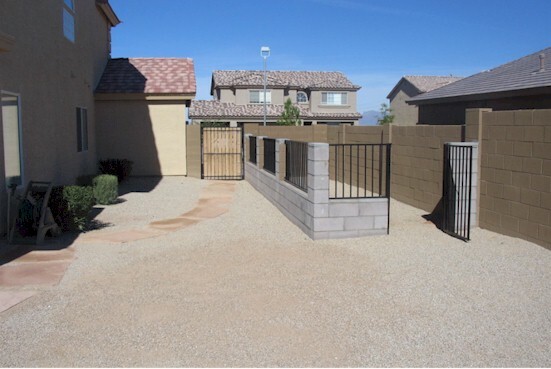 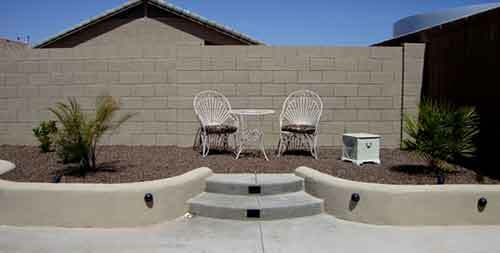 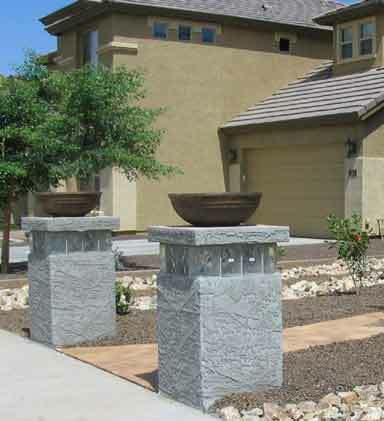 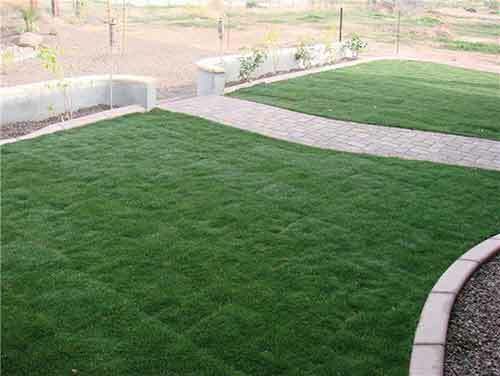 How much does a backyard landscape cost in Arizona?